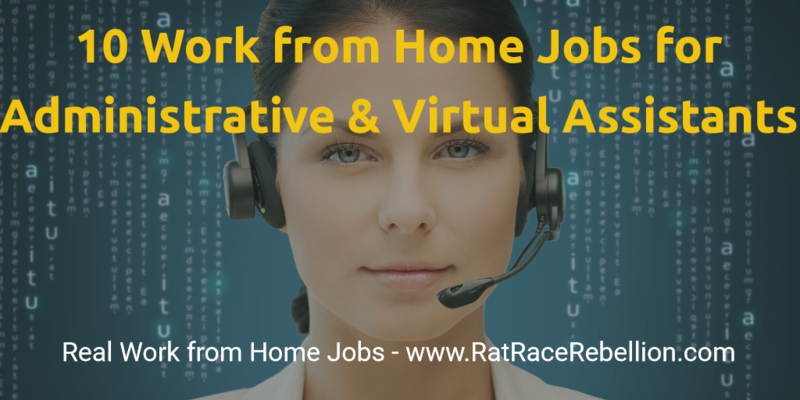 Here, at Rat Race Rebellion, we receive many queries from people who have great administrative support skills but who aren’t sure how to find a work from home job that will enable them to leverage their expertise. We list a number of options on our Administrative & Clerical jobs page so it’s a great starting point. To round out that list, this post will direct you to ten sites where you use those administrative skills you’ve worked so hard to perfect! This entry was posted in Administrative & Clerical Jobs, Work at Home Jobs and tagged Administrative Assistant, virtual assistant. Bookmark the permalink.